Here we are. Another entry from the studio. While some readers may think this redundant, it logically makes sense as a reflection of a musicians life. As a rock star, especially one that had some success, you spend a large portion of your life in the studio trying to come up with your next big hit. When you spend that much time in a space like that, some crazy things can happen. I believe the last entry from the studio was about how we had termite problem that was unknown to us until we were rockin so hard that the mini stage we had built collapsed under us plunging us into a swarm of those damned bugs. Well, this entry is somewhat related to that post for a few reasons. The loudness of our practice, the structural integrity of something, and the need for a solution that keeps us rocking out like there is no tomorrow. Storytime readers! Here. We. Go. I’m with the band and my producer at one of our local studios working on this killer song. It was all written lyrically and we almost had all the musical parts ironed out. At the point in which I am dropping you into this story, we had been at it for about 4 hours straight. Whenever a band gets on a roll, there is really no stopping them. We had played every part of this song over and over as loud and as big as we possible could so we could really get a feel for this song. We were all jazzed up and aided with energy so were being pretty hard on our instruments. Luckily, we had started making some good money up to this point so out instruments were of the highest quality and held up just fine while producing some amazingly loud sounds. 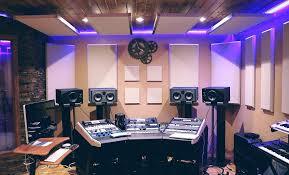 I have no doubt that even though out studio was sound proof, we could be heard outside out walls. This building experience was something else and honestly pretty hard to describe. In the fourth hour, we finally finished piecing together out last section of this song. Finally, we could play it all the way through from start to finish with a complete song. We were all buzzing with excitement. We turned everything up to 11 and played out hearts out. At the final crescendo of this, dare I say, masterpiece, the table where the producer was sitting and recording quite literally fell apart. We had actually, over the course of this session, been so loud with vibrations that we undid this table we had setup with the equipment. You should had seen the look on out producers face while he sat there in that chair that also looked like it was on the verge of collapse. Priceless. You tell me if you ever heard of band playing so incredible that it undid the furniture in the room. I know I haven’t. Now maybe it wasn’t a very nice or new table so we had that going for us. Either way we knew it was time for a upgrade. We turned to some of our friends who referred us to a quality office furniture shop down in the OC. We called them up and got great deal on some new furniture for our studio. It was used too! Who would have thought that used office furniture from orange county would be sturdy enough to withstand our awesomeness. That same furniture is still standing today. We certainly try and see if we can knock it down from time to time but alas, it still remains standing strong. So, if you are ever in the market for some sturdy office furniture cool enough for a rock star, check this guys out! Until next time my beautiful readers!